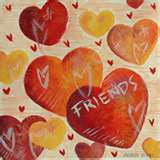 ...to all my readers. Thank you for support. Have a good time. Let's hope everyone but the warmongers and peddlers of hate get what they wish for in 2008. Many thanks to Cathy for nominating me for a Roar Award (see my sidebar). I am really chuffed, especially as I haven't been posting that much and usually only get moved to write something when I can no longer keep the grumpiness in. 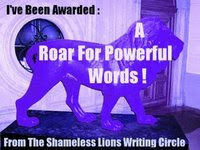 For more details about the award, visit The Shameless Lions Writing Circle. 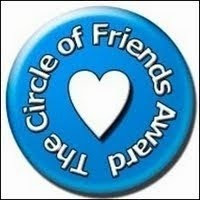 All deserving (as are so many others) of recognition for great blogs. After reading the post about branding on Danuta Kean’s ever excellent blog, my knee jerked along the following lines. When any business executive starts telling me that a certain course of action is desirable, my first reaction is to wonder what is in it for them. No business person is going to promote something unless their business stands to make a profit. Whether any of that profit will eventually trickle down to authors (remember that discredited economic theory?) is highly debatable. Authors are already at the bottom of the food chain in the publishing industry, with the exception of one or two big names. It’s usually tiny bits of detritus that drift this far down. I then wondered about the effects of yet another layer of flummery. It is hard enough for writers to produce their work: the stuff that publishers print. Books. Stories. Scripts. Articles. Poems. On top of that, authors are expected (where they can) to promote their work. And most are happy to do this. There is precious little opportunity to get out of the house (and the weekly trip to supermarketland doesn’t count) and meet people who enjoy writing (whether as consumers or producers). It’s not all glamour. Long hours travelling to festivals to stay in bleak B&Bs away from the comforts of home; a signing session with just one person (your Mum) wanting a signed copy of the novel that took you three years to write; a launch perfectly timed for the one day none of your friends can get there; these can be frightening and dispiriting events. But most writers accept it is part of the deal and feel lucky if they get the opportunity. But now, it seems, writers have to become a brand. So, to prevent my knee doing unwarranted damage (to me or anyone else), I went and did a little research. And came up with a lot of questions for which I have yet to find satisfying answers. In material terms, something is considered a brand when the name or design of (or a symbol or term associated with) an item distinguishes it from competing products. In less concrete terms it relates to a consumer’s experience of a product. The latter, of course, is much harder to define and control (as it includes factors outwith the influence of the design and construction of the product), yet it can have a greater impact on the success of a brand than those inbuilt features which act to distinguish one item from another. Creating a brand is not easy. It is not cheap. Even if it can be done for a small amount of money, it takes time to build up a brand identity. A brand is not the logo or the design; it is not the image of the author or the content of their work. These things contribute, but a brand is an impression that certain qualities or characteristics are special or unique to that product. In a sense it is creating a ‘personality’ or an ‘image’ that customers cannot help but associate with a product. As such a brand not only needs creating, but also needs maintaining. Most products already have some kind of brand identity. In a number of cases this is what is known as attitude branding. A product or service is distinguished not so much by what it is as by an ethos it represents or with which it is associated. Some people buy not because one product is better than another in itself, but because it represents a social attitude or stance. Whatever the origin of the brand, however, it is a device intended to create a monopoly or some of the benefits of a monopoly. Branding is often used by marketing departments of a single company to launch apparently competing brands. Whilst sales of an individual brand may suffer, having several strong brands may increase a company’s overall share of the market. Personal branding is a fairly recent idea, dating from the late 1990s. It derives from management techniques that originally concentrated on self-improvement as a means of corporate advancement. The better you were at your job, the argument went, the better your chances of success. The concept of personal branding suggests that success derives from self-packaging rather than competence; image rather than content. There are two parts to a brand. The first part is the one that can be devised or developed by the author and the publisher. In some degree, the natural style of an author’s work along with their preferred subject matter will be at the base of this. But for all the design and promotion, for all the author’s presence in publicity and online (with websites and blogs) the other part of branding is very much to do with the response of those buying the book. Attempts to manipulate this aspect have had mixed results – mostly inept, toe-curlingly embarrassing, and often counter-productive. No matter how much effort an author or publisher puts into branding written work, there will be factors over which they have no control. Given the nature of publishing in which you are only as good as your last set of sales figures, it is going to be difficult to maintain a brand if events work against it. In an extreme example, a number of book, film, and television projects foundered in the wake of the destruction the World Trade Centre, whilst there was speculation about a number of others. Their content (stories about terrorism and the superheroic competence of western intelligence agencies) was deemed too sensitive or plain offensive. If those writers had gone further and tied their brand to the symbolism of the towers, they would have been in deep, career threatening trouble. There is also a question of competition. A brand exists to distinguish an item from competing products. Presumably this means that authors and their work are to be considered as in competition with other authors and their work. Well, to a certain degree this happens. Publishers vie to get their latest bestseller prominent space in shops and spend out large sums of money on marketing in order to maximise sales (and profits). Some go to extraordinary lengths and it is arguable this has created a situation where retailers can now dictate to publishers. It is certainly true that cover designs are being altered to suit retailers. You have to wonder how long before content is… oh, silly me. This has already happened as well. Although we are straying into a different argument here, it is important to remember that this is one of the factors that affects a brand. If big retailers don’t like it, you either have to change it, or you don’t get on the shelves. The integrity of a brand is, therefore, called into question. Is your brand simply a reflection of you as a writer and the work you produce, or is it carefully manipulated in order to maximise sales – and how does that affect what you write? Given that branding is about creating a ‘personality’ or ‘image’ for the product, one would have thought that having a product that is so intimately connected with the person who created it, branding an author and their work would be simple. The opposite is true. With a tin of beans or box of soap powder, you start with a blank canvas over which you have absolute control. The same is not true of authors. These are human beings. Some are intrinsically interesting in a celebrity obsessed culture. The good-looking, fashionable, well-connected, or self-destructive types make it easy. But the vast majority of authors, unique as each one is, lead very ordinary lives. After all, most live on earnings that put them below the poverty line; they spend a great deal of their time typing; and most guard their privacy. I am not saying this cannot be branded, but I do wonder if all that time, effort, and money are not misplaced. Brands also need maintaining. There is an element of addiction here. Once you get on the treadmill, you have to keep the brand in the public consciousness and that involves new ploys to keep it alive and developing whilst reflecting the reality of the books that a given author is producing. Who is going to do this? And what effect is it going to have on a writer’s work? Who is going to do it? Well, most likely the author will be landed with the bulk of the work. Publishers are not going to spend vast amounts of money to brand all their authors and maintain those brands. In one sense, this is not a bad thing. Authors do not always stick with a publisher. If a publisher invests money in creating a brand, they are going to claim ownership of the brand. If the author goes elsewhere, chances are the brand will not go with them. Branding (think of its original meaning) is about ownership. It is about marking something so that ownership or status can be determined. I am not sure many authors would admit to a status that puts them on a par with cattle – even if they feel that is how they are already treated. If branding does not travel, there is no point in it for the author. If it does travel, if the author has control, then it is unlikely to be done on a professional basis. Simply protecting brand image is expensive and time consuming. Only the wealthy, best selling authors will be able to afford that, and that will simply work to increase the divide between a small number of successful authors who already get big front-end deals and marketing, and the rest who see their position constantly eroded. And what effect will this have on a writer’s work? If they control their own brand, not a lot in terms of content. Although if they are engaged in yet another set of activities to promote their work and keep their image alive, they will have less time to produce the basic raw material of their profession. And even in this situation there is always the danger that image will start to drive content, rather than as it should be – content driving image. This danger is much more likely to occur if the author has been branded by a publisher. The publisher will expect a return on their investment and there will be pressure on the author to conform to the brand. Brands do develop, but that development does not and cannot be allowed to undermine the basic precepts of the brand, otherwise it is counter-productive if not downright destructive. In essence, the image dictates the content. Such a situation is all well and good if the author doesn’t mind churning out formulaic pap and the buying public doesn’t get sick of reading the same novel over and again (and we know that has always happened). If you are coming to a well-established author who pretty much does this anyway, there are no problems. You are tying the ribbon on the already wrapped package. However, branding a young author in this way is akin to placing them in a mental straight jacket. If someone becomes very successful on the strength of, for example, a series of children’s fantasy novels, the brand that has evolved is a very strong factor in determining what they write and whether it will be accepted by the buying public – who can be notoriously fickle. They may stay faithful to the author, no matter what they write. They may have been faithful to those specific books. In some cases, branding has a life of its own. It can cast a long and not always welcome shadow over a writer and their work. Deliberately creating a brand can have the same effect, especially if the brand reaches a critical mass. At that point it is entirely possible for the brand to take on a life of its own. The books are no longer centre stage. Sales may increase on the back of the TV series, films, mugs, calendars, mobiles, toys, lunch boxes, and all the rest, but it becomes possible for people to know the brand without ever having read the book. Great for that author’s bank balance. But you have to wonder how much of this actually helps the publishing industry produce better (if not necessarily more) books and sell them to a wider audience. To a certain extent, books are already branded. They have been marketed by genre for some time now and whilst this may make it easier for large book shops to organise their shelving, it does nothing to foster a more open approach to reading. Some people have always stuck to their favoured genre, even before it became a marketing norm. They grew up favouring one comic over another, one pulp magazine over another, and graduated to similar books. Nothing wrong with that. But branding has already created ghettoes. ‘Literary’ books (regardless of their content) are often disregarded by those who stick a particular genre, despite the fact that many ‘literary’ works use genre conventions and subject matter. Equally, readers of ‘literary’ works rarely sample the delights of genre works, despite the fact that some of the best writers in the English language are genre writers. Whilst a brand can help identify certain qualities, it can also cause too strong an identity between product and consumer. To extend branding to an author will further create the impression that they are suitable only for consumers who identify with that type of brand. And once a brand is created for a type of book, the room for manoeuvre within that brand for authors to distinguish themselves one from another becomes more and more difficult. The focus is increasingly on the brand rather than on the quality of the writing and implies that publishers and authors do not trust readers to make an informed judgement based on their own tastes by sampling the text. Branding is also about working toward or creating a monopoly (or at least some of the benefits thereof). But people who buy books don’t stick to a single author. If they like an author, they will seek out others of that ilk. In this, branding may be a bonus, but it doesn’t always follow. It depends on how the branding is done. If it is too narrow you cannot tell whether there are other aspects of an author that might appeal. 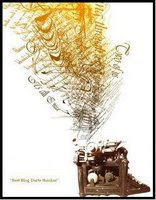 One of the joys of browsing is sampling and discovering writing you might not otherwise have discovered because the other is already branded by genre. If branding is too broad, the same problem applies. Books are not tins of beans or boxes of soap powder to be got into the trolley as quickly as possible to avoid the scrum at the checkout. Yet that, increasingly, is how they are being sold. Piled high. Sold cheap. Shift stock. Screw the producer. And if authors are to develop brands, it puts them into direct competition with other authors who write similar work. Yes, there is always an element of keeping an eye on what writers of similar material are up to. But this cannot be allowed to drive what people choose to write otherwise they lose their voice, they write for a market that may not exist by the time they have finished their manuscript. It takes a few hours or days to produce a tin of beans and get it on the shelves and sold. It takes months or even years to write a book and then another year to get it through the editorial and printing process. Unless we are all to become clairvoyants as well, working to a brand identity and second guessing the market two years down the line is simply going to be a waste of time and soul destroying into the bargain. Add to this the distinct possibility that a publisher is going to put brands under their aegis into direct competition (it is how the marketing of brands works); authors are going to be worse off. Publishers may benefit by increasing their share of the market, but their individual authors are going to see their share cut and find themselves pitted against each other. I cannot see that this will make for good business. Tins of beans cannot object. Authors can, and with extreme eloquence. This does not mean I am happy with the status quo or believe in a golden age. There is a great deal wrong with the publishing industry and has been for a long time. It needs to sort itself out before it implodes. A lot of very good writers are walking away from or no longer considering the big publishing houses. Bigger advances, ghosted celebrity titles, and branding are not any part of the answer and it is disingenuous for publishers to claim these are the only ways to pull in money to support mid-list authors. Mid-list authors are increasingly aware that their books have to be self supporting; that poor sales mean a contract for a new work is unlikely. Perhaps it was the era in which I grew up, but I still balk at the idea of style over substance, of image over content. Personal branding is exactly that. You may have excellent content, but it is always going to take a back seat to the way in which it is packaged. I know the world is not as I would like it, but I do not believe that is any reason to roll over and accept things the way they are or act in a way that seems to me to be a step in the wrong direction. Packaging, after all, is seen as one of the problems of an increasingly ecological age. There should be less, not more. The product should speak for itself (and if it cannot, it is probably not very good writing). And the same goes for the type of packaging that is branding. It is wasteful of an author’s and publisher’s resources, degrades the ecology of publishing, and will leave a poisonous legacy for future generations. I believe that a successful blog should be regular and frequent. Sounds too much like an 'All Bran' approach to me, but there you go. Real life has kept me away from posting here, not least putting the final touches to an anthology of writings that I have been editing (and to which I contributed – hey, it’s a perk of the job). This superb collection of writings [coughs modestly] is called First Class: Early Works of the Nearly Famous – Orchid Station. It gathers together work produced by some of the students who took the Open University’s Creative Writing course in 2006. To those who weren’t included, I can only say it was down to space and not talent. The book is now available on Amazon. I have also been working on my novel. This is a work in not much progress at the moment, although (fingers crossed, touch wood, etc etc) more time should now be available to sit with Charlie and find out what happened to her after the cold, early months of 1942. The more observant amongst you may also have noticed that the list of books I have read since starting the blog has disappeared. In fact, it has moved to a blog of its own called grumbooks. Not only was it making the page impossibly long, but I thought it might be illuminating (for me if no one else) to make some notes on each book as I finished it. Not necessarily reviews, but comments, observations, and musings prompted by the comment. That will leave this blog free for… well… other stuff.